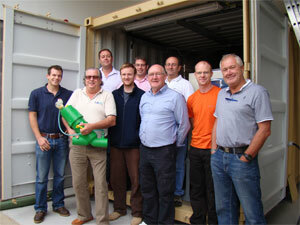 Pumping Stations for deployment around the Middle East. ATAC Solutions are proud to become a KCC (Kent County Council) approved company. ATAC Solutions who service and maintain many waste water treatment facilities in Kent, now are KCC approved. For all service maintenance and sludge disposal enquiries call our main line 01622 882400 for a NO OBLIGATION QUOTE. ATAC Solutions are now advertising in the Medway Schools handbook offering their services from wastewater treatment, servicing and even plumbing and guttering repairs.